The economy and job creation: Keynesian economics, or spending money to spur economic growth has never worked. What this type of economic theory has done is increase the debt and has never been repaid. I will never vote for a spending program unless it has been funded upfront. State debt: Like the Federal government our State is spending money regardless if it can pay for it and in order to pay for this spending the State has to either borrow the money or raise taxes. I will never vote for an unbalanced budget, or raise fees, I will vote against any sales or income tax. Individual security: I believe in the Constitutional rights of “ Life, Liberty and Pursuit of Happiness” of which each individual citizen possesses and one way of protecting these rights comes from the 2nd amendment. I’m a proud Endowment member of the NRA and I believe that the state should pass the Castle doctrine. Education: I’m a strong supporter of education in Derry. We need to get proper funding from the state to support our children. Social Issues: I’m a pro-life candidate and I believe that marriage is between one man and one woman. On Healthcare: Healthcare insurance companies from other states should be allowed to do business here in New Hampshire. I believe this will make insurance rates competitive and therefore cheaper because you will have more choices and options. I will support legislation that allows private healthcare companies from other states to do business here in New Hampshire. 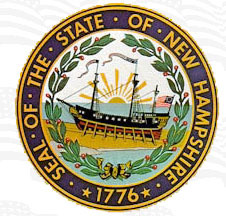 On Immigration: Although New Hampshire does not have an illegal immigration population as great as Arizona or other boarder states, we still need to enforce federal immigration laws that currently exist. One of the greatest attributes of the United States is that we are a nation based on the rule of law and a person who is in this country illegally is breaking the law. I think New Hampshire should have a similar law like that of Arizona’s and I would support such legislation.